Electricity is fascinating but many people don’t stop and think about it until there’s a problem, which can be a total buzzkill. At Smart Power, we are obsessed with all things electricity and we hear a lot of misconceptions about the energy that powers people’s homes and businesses. There are fairly innocuous mix-ups, like asserting that Ben Franklin discovered electricity (spoiler alert: he didn’t) and more serious ones that could lead to damaging pricey office or networking equipment. Of course, by the time we hear these things from customers, it’s usually because they had a problem and came to us after the fact. So we decided to set the record straight on some of the whoppers we’ve heard in the power protection business. So, before you fry an expensive printer or teach a child an incorrect version of historical events, let’s take a look at some of the most commonly accepted myths about electricity. MYTH: Ben Franklin discovered electricity. FACT: When Ben Franklin famously flew a kite with a key attached in a thunderstorm, he wasn’t discovering electricity. He was trying to establish a connection between lightning and electricity. The truth is, there is no “Father of Electricity” anymore than there is a tooth fairy (sorry kids). The groundwork for the discovery of electricity goes back thousands of years to the Ancient Greeks. Although we knew about this energy for many years, when it came time to harness the power of electricity for practical use, many scientists, physicists and engineers had a hand in cultivating this into a usable power, including William Gilbert, Alessandro Volta and Nikola Tesla. 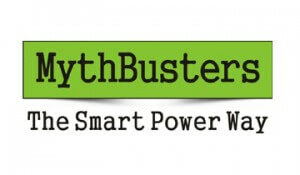 MYTH: Utility power is clean and reliable. FACT: No and no. Utility power isn’t clean or 100% reliable. By law, electrical power can vary widely enough to cause significant problems for IT equipment. According to current U.S. standards, for example, voltage can legally vary from 5.7 percent to 8.3 percent under absolute specifications. That means that what utility services promising 208-phase voltage actually deliver can range from 191 to 220 volts. MYTH: There’s not much I can do about the quality of the power I receive from the utility. FACT: Computer Technology Review stated that 80% of computer related problems are power related and could be eliminated by implementing the correct power protection equipment. The correct power protection can ensure that only clean power, free from line noise and electrical abnormalities, flows into your electronics. This protects your sensitive networks, printers, ATMs, copiers, point-of-sale systems and other equipment from unforeseen issues, fried or overheated equipment and “no problem found” service calls. 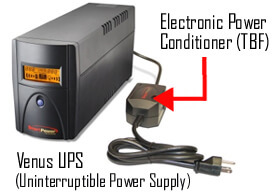 Smart Power Solutions carries a range of power protection solutions including Computer-Grade Filters, Automatic Voltage Regulators, Uninterruptible Power Supplies, and more that will protect your equipment from fluctuations like spikes, sags and surges. Smart Power’s full product line of power protection solutions eliminates 100 percent of the power issues that can affect a company’s productivity. Only Smart Power offers its patented Transformer-Based Filtering Technology, the most comprehensive power protection available. FACT: Every business that uses electricity is subject to power problems. Whether you have one computer or 100, power issues can affect your store, company or restaurant. Granted, the larger your computer network gets, the more you open yourself up to having an issue. Proper use of a power protection device can help you increase uptime, reduce service calls, extend the life of your equipment and reduce maintenance costs. Smart Power Systems has power protection solutions available for every sized company or business. Please contact us at 1-800-882-8285 to learn more about how you can protect your technology investment.